Join ACLT’s experts and Master Naturalists for a great morning on Parkers Creek at a time when our wildlife is most active! You’ll be guided along the beautiful, windy creek, through its variety of ecosystems in the most pristine watershed on the western shore of the Chesapeake Bay. Rain date Sunday, July 21 7:30am – 10:30am. Please note canoe trips are physically strenuous and challenging. Not recommended for children 7 and under. Trip details will be included in a confirmation email sent after registration. 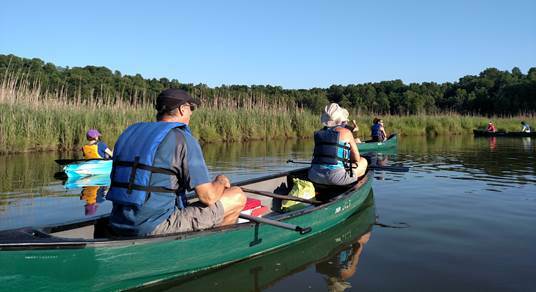 Canoe trips launch in Port Republic, MD.